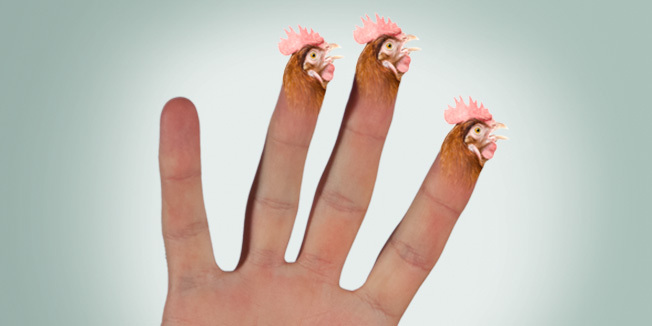 Idle hands are the devil's playthings, and those hands look particularly evil when they have 14 fingers or the heads of chickens. The answers came flooding in, and the team at Wieden + Kennedy has been busy ever since, whipping up Photoshopped images of some of the more peculiar replies. Check some of them out below, and give Old Spice a hand for another inspired time-waster.